One of many classic mall and retro retail internet sites, the MALL HALL OF FAME is a "Mid-mod Mall Museum", centered on American shopping centers built during the mid-20th century (1946-1979). There are short articles, photos, and at least one physical layout drawing for every mall inducted. Please check your favorite mall articles often as new content is frequently being added. The complex, known as RIVER ROADS MALL since the 1970s, was given a floor-to-skylight renovation in the mid-1980s. J.C. Penney had been expanded into a full-line store in 1972, but closed in 1983. 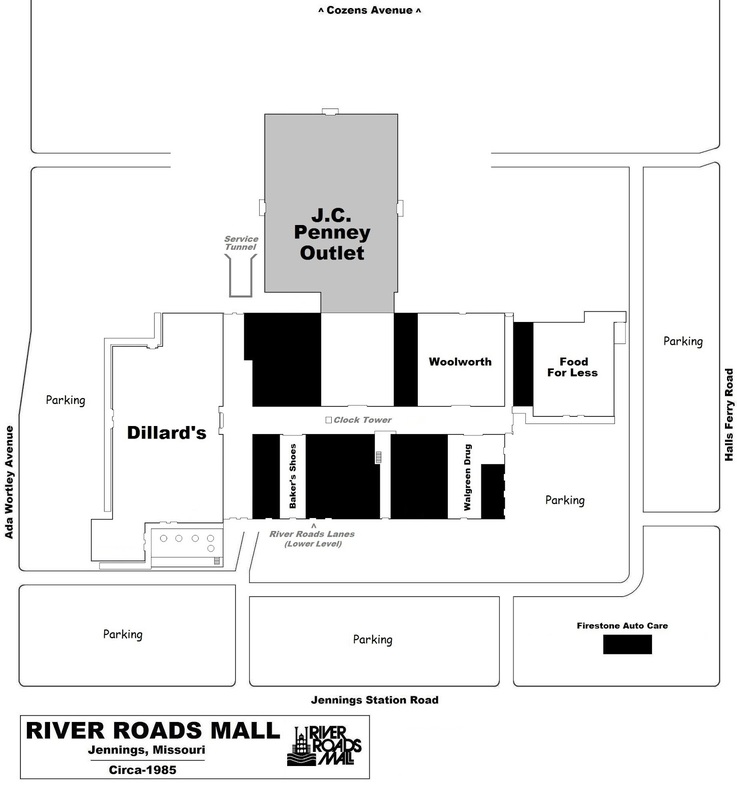 It was revived, as a J.C. Penney Outlet, as part of the mall's 1980s revitalization. 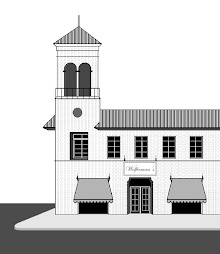 Dillard's, who rebranded the Stix chain in April 1985, stayed in business at this location for less than 2 years. Please click on the image above to post a comment. A documentary which offers a contradictory viewpoint to the "all malls are dead or dying" declaration. A short history of the American shopping center and mall is also provided. A visual history of the American mobile home and the folk who lived in them, centering on the mid-20th century years. Mall logo and trademark images in various articles illustrate key moments in a mall's history. The images are not replaceable with free-use or public-domain images. The use of the images does not limit the copyright owners' rights to distribute the images in any way. Images are used for non-profit, informational purposes only and their use is not believed to detract from the original copyrighted images in any way. Although all articles and special features on the MHoF have been thoroughly researched, we cannot guarantee that all information is 100 percent accurate . As many may be aware, the internet is rife with incorrect -and often conflicting- data. We even find glaring errors in so-called "scholarly sources" such as reference-type books and newspapers. In spite of these setbacks, we strive to provide the most factual information possible. Innovative retail facilities that led to the development of the post-war shopping center and mall.